Cleaning it is a breeze, the egg does not really stick to the stainless interior and all I do is fill it with warm water and a squirt of Fairy Liquid and let it soak while we are eating. It then washes clean quite easily. 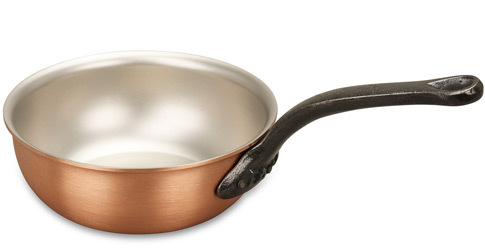 I really like the finish of Falk Culinair cookware. The brushed finish takes a lot less maintaining than the Mauviel ones which we were also have a few of. Great little pan The perfect pan for melting chocolate (I no longer bother with a bain marie) or making scrambled eggs for two, or heating a small quantity of anything that needs a lot of stirring. A delight to use, easy to clean, comfortable in the hand. Love it.